Looking to improve your signal reception? You came to the right place on the web! At Novatel, you can find high-quality broadband antennas/aerials that you can use to improve signal reception for GSM, 4G/LTE and WiFi. We stock on Omnis, Panels and Yagi Antennas. Buy one of these and hook it up to one of your LTE or WiFi router, and you will solve your weak signal issues in a snap! Poynting Antennas are high-quality range of external antennas for LTE Routers, Wimax, 3G, WiFI Routers that can solve slow Internet connection due to poor signal reception. It's no secret that weak signal reception leads to a slow browsing experience and laggy connection. 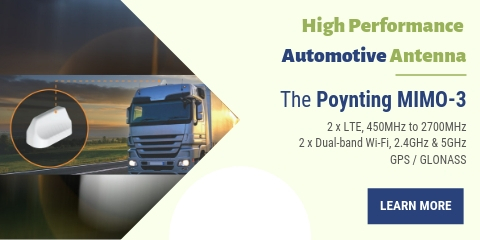 Thanks to Poynting's wide range of antennas, you can now enjoy high-speed and reliable wireless broadband connection. 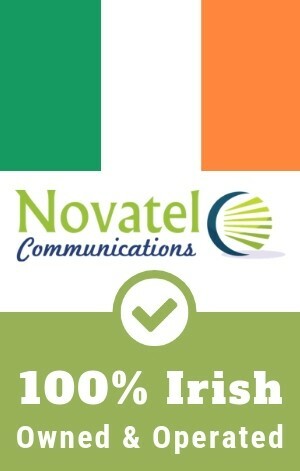 Poynting Antennas supports wide range of network applications (LTE/HSPA/3G/EDGE/GPRS) from all providers in Ireland (Three, Meteor, Vodafone), UK, EU and the rest of the world. So, if you're looking to boost your signal, get a Poynting antenna! Here are some router models that can be attached to a Poynting external antenna. ...more to be listed here. Note: Please make sure that your modem/router supports external antenna port via SMA or TS9 antenna port. This is a requirement in order to use our antennas. Not sure what type to use (omni, directional, LPDA)? Contact us for advice. Digiant Digital Terrestrial Antenna The DigiAnt name... ant/six legs; ant also short for antenna; born for new TV digital migration (DVB-T, DVB-T2 and digital standards). This digital terrestrial antenna was invented to allow for easy deployment while fitting in a very small package for transport. T..
DIPL-1 - Covert Omni-directional GSM External Antenna For Vehicles This state-of-the-art antenna installs covertly in your vehicles and does not require any external antenna on the windshield or roof. The antenna is virtually tamperproof and is encapsulated in a soft flexible plastic moulding th.. This broadband antenna ensures a strong 2G, 3G or 4G/LTE connection and fast transfer speeds for your broadband modem or router. The antenna is vertically polarised and Omni-directional. This antenna can be fitted directly on any equipment that uses an SMA female connector. The knuckle base of the a.. The OMNI-280-01 antenna provides an innovative solution for the signal enhancement of 4G / 3G and 2G networks. It is a unique magnetic, wall- or pole-mountable, single polarised, full LTE band antenna that incorporates an ultra wideband element in a single housing. This antenna is a cost effective s.. The OMNI-280-02 antenna provides an innovative solution for the signal enhancement of 4G / 3G and 2G networks. It is a unique magnetic, wall- or pole-mountable, single polarised, full LTE band antenna that incorporates an ultra wideband element in a single housing. This antenna is a cost effective s.. The OMNI-280-08 antenna provides an innovative solution for the signal enhancement of 4G / 3G and 2G networks. It is a unique magnetic, wall- or pole-mountable, single polarised, full LTE band antenna that incorporates an ultra wideband element in a single housing. This antenna is a cost effective s..
Operating Frequency: 795 - 960, 1710 - 2170, 2300 - 2400 & 2500 -2700 MHZ Wide band Omni GSM/3G/LTE Puck Antenna The PUCK antenna is a low gain omni-directional antenna developed for the GSM/3G/UMTS/LTE band and is ideal for a wide range of applications including low profile indoor coverage and ..
Poynting’s PUCK-1 antenna offers a small profile antenna for use in the IoT/M2M, Smart Meter, Smart Utilities and Transportation markets. Due to excellence in engineering and a solid design, this antenna provides exceptional performance for its small size. This Cellular antenna (for 2G/3G/4G) cover ..
GSM/3G/4G/LTE Omni-directional External Antenna - Poynting OMNI-12-V3 The OMNI-121 is an Omni-directional external antenna manufactured by Poynting, a South-African based company who manufactures unique antennas for enhanced wireless communications for LTE, 3G, Wi-Fi, RF and other applications. The..
4 dBi - Cross Polarised All Band Omni-Directional LTE Antenna The XPOL-1 4G/LTE omnidirectional outdoor panel antenna is a 4dBi model made by Poynting, a company based in Samrand South Africa. This model is backward compatible with 3G and 2G networks and not only that, it can handle future network.. This antenna covers both EU and USA RFID bands. The antenna has been designed to be water resistant and is easy to install. It is circularly polarised for reading in any orientation. Due to its circular polarisation, it can also be used to improve indoor GSM coverage. VSWR is typically less than 1.3.. This antenna covers the 900 MHz band. The antenna has been designed to be water resistant and is easy to install. This antenna is unique in the RFID environment because of its VSWR & gain specifications. RFID PATCH ANTENNA 820MHZ-970MHZ MAX GAIN: 8 DBI Features Wideband antenna Linear polarised..
HIGH GAIN XPOL CPE LTE/WIMAX ANTENNA The antenna provides an innovative solution for the signal enhancement of 4G/WiMAX / 3.4 – 3.8 GHz networks. It is a unique window, wall- or pole-mountable, dual polarised, full LTE band antenna. Incorporating two separately fed ultra wideband elements in a singl..
Signal Enhancing Antenna for 4G/LTE, 3G, GPRS If you're looking for the old OMNI-69 antenna, then this guy is what you're looking The OMNI-292 had replaced the extremely successful OMNI-69. This brand new antenna has an improved electrical design and now covers the main European cellular frequencies..
Multi-Band GSM LTE Omni-Directional External Antenna (OMNI-69) The Omni-69 is another external antenna made by Poynting, a company based in Samrand South Africa. This high-gain omni-directional antenna can handle all frequency bands for 4G/LTE and other frequencies for GPRS, EDGE, 3G & HSPA. Thi.. The MIMO-1-01 incorporates 2 LTE antennas in a single rugged low profile antenna housing. Two LTE/4G/3G antennas covering all cellular bands and also achieves MIMO data speed increases since the two antennas provide space and pattern diversity. The antenna exceeds the performance of most competitors.. The new Dual-Band Wi-Fi antenna, developed by Poynting Antennas, can connect to any Wi-Fi access point whether it is older Wi-Fi technology or new dual band Wi-Fi technology. These antennas can resolve channel saturation and provide the ultimate in Wi-Fi performance and flexibility. This antenna has..
OMNI-275 ALL-BAND LTE/Cellular Omni-Directional Antenna The OMNI-275 omni-directional antenna covers LTE bands 31, 3 and 30. In other words, it can handle HSDPA, 3G EDGE, GPRS and Voice. Furthermore, you can use this antenna to improve signal reception for 4G/LTE (800Mhz / 1800MHz), WiFi and WiMax. .. The MIMO-3-V2-12 consists of a 2-in-1 antenna system within a single housing, providing 2x Cellular. 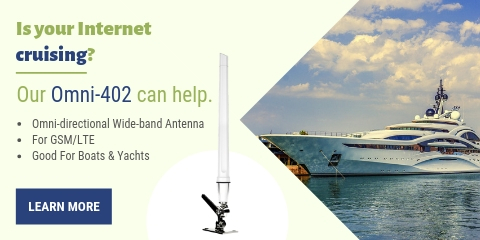 This antenna is specifically designed for the transportation and marine industry. The 2x Cellular MIMO antennas (for 2G/3G/4G) covers the contemporary 690MHz to 2700MHz bands, as well as the new emer.. The Poynting XPOL-2 External is the perfect solution for a fixed-wireless broadband like 4G LTE. You can solve your slow browsing issue with this antenna, thanks to its cross-polarised MIMO configuration, which is perfect for high-speed LTE performance. You can use this as External LTE Booster Anten.. This unique antenna provides a unique solution with a constant level of very high gain for 4G, 3G and 2G networks. It is a unique wall- or pole-mountable, dual polarised, full LTE band antenna. Incorporating two separately fed ultra wideband elements in a single housing, the antenna is equipped to p..
MIMO LTE/GPS ANTENNA 698-960MHZ & 1710-2700 MHZ The MIMO-1-02 incorporates 3 antennas in a single rugged low profile antenna housing. Two LTE/4G/3G antennas covering all cellular bands and also achieves MIMO data speed increases since the two antennas provide space and pattern diversity. The thi.. The new Wi-Fi Dual-Band MIMO antenna, developed by Poynting Antennas, can connect to any Wi-Fi access point whether it is older Wi-Fi technology or new dual band Wi-Fi technology. Multiple Dual Band antennas can resolve channel saturation and provide the ultimate in Wi-Fi performance and flexibility.. The OMNI-291 is another external antenna model made by Poynting. It's a modified version of the OMNI-69, but with special housing. This model has a 7dBi peak gain across all bands from 450-2700MHz and whhy it’s called “ultra-wide band” antenna. It covers all wireless communication operating fr.. The MIMO-3-V2-13 consists of a 3-in-1 antenna system within a single housing, providing 2x Cellular and a GPS/GLONASS. This antenna is specifically designed for the transportation and marine industry. The 2x Cellular MIMO antennas (for 2G/3G/4G) covers the contemporary 690MHz to 2700MHz bands, as we.. The MIMO-1 incorporates 5 antennas in a single rugged low profile antenna housing. Two LTE/4G/3G antennas covering all cellular bands and also achieves MIMO data speed increases since the two antennas provide space and pattern diversity. Similarlytwo dual band Wi-Fi antennas give blistering speeds a.. The MIMO-3-V2-15 consists of a 5-in-1 antenna system within a single housing, providing 2x Cellular, 2x Wi-Fi and a GPS/GLONASS. This antenna is specifically designed for the transportation and marine industry. The 2x Cellular MIMO antennas (for 2G/3G/4G) covers the contemporary 690MHz to 2700MHz ba.. The OMNI-600 is an omni-directional antenna, ideal for machine-to-machine application, with improved 2×2 MIMO electrical performance. The ultra-wide band covers all contemporary operating frequencies with excellent balanced gain across all frequencies. Higher frequencies are not compromised and the ..
HIGH GAIN CROSS POLARISED LTE MIMO ANTENNA 450MHZ-470MHZ & 790MHZ-860MHZ & 1710MHZ–2170MHZ MAX GAIN: 8 DBI The antenna provides a unique frequency range from 450 – 470, 790 – 860, 1710 – 2170 MHz bands and is an innovative solution to boost reception of 4G, 3G and 2G network signals. It is a..
High-Gain All Band LTE/3G/GSM Antenna with Cable (12 dBi) This high-gain all band antenna is one of our most popular products. The antenna covers virtually all of the international wireless, cellular and mobile data bands. These bands include GSM 900, GSM 1800, UMTS and LTE and therefore it can be c.. The OMNI-402 is an ultra-wide band antenna, which covers all contemporary LTE operating frequencies with excellent balanced gain across all frequencies, while providing 2×2 MIMO capability from its vertically separated radiating elements, all in the same radome. The antenna design allows Poynting to..